Position an oven rack in the middle of the oven and preheat to 475 degrees F.
In a small bowl, whisk together the oregano, thyme, ½ cup of the olive oil, the juice of 2 lemon halves and a pinch of salt and pepper. Set aside. Place a kitchen towel over the top of a cutting board. Place the chicken on the towel breast-side down and locate the backbone. With sharp kitchen shears, cut along one side of the spine followed by the other, then remove the backbone and discard or reserve for stock. Flip the chicken over and lay flat. Press down firmly with your hands on the center of the breast. The breastbone should pop and the chicken should sit relatively flat. 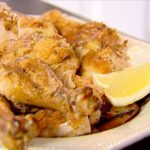 Season the chicken all over with 2 tablespoons of salt and 2 teaspoons of pepper. Add remaining 2 tablespoons olive oil to a rimmed sheet pan and distribute evenly. Place the chicken skin-side up in the middle. Rub the chicken's skin with 3 tablespoons of the oil and herb mixture. Toss the potatoes with 3 tablespoons of the oil and herb mixture. Distribute the potatoes around the chicken on the sheet pan. Roast for 15 minutes, then lower the heat to 400 degrees F and continue roasting for 10 minutes. Meanwhile, toss the zucchini, cherry tomatoes and garlic in the remaining oil and herb mixture. 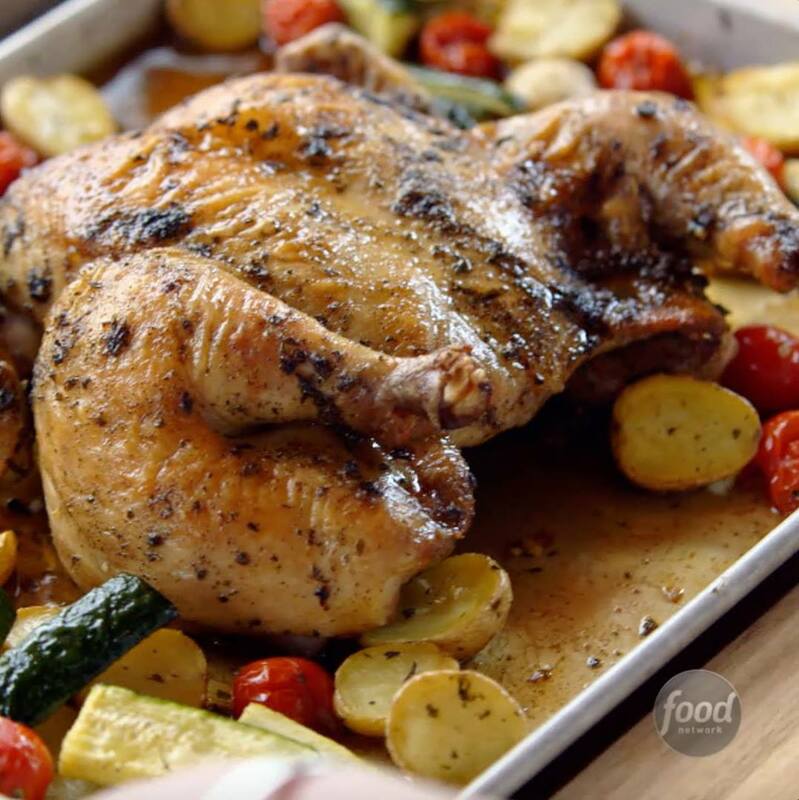 Scatter around the sheet pan and roast until the chicken is totally cooked through, an additional 12 to 15 minutes. 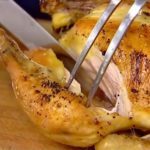 Transfer the chicken to a cutting board. Let it rest while you arrange the potatoes and vegetables on a platter. 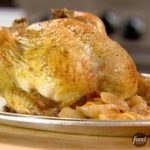 Separate the chicken into 6 pieces: 2 breasts with wing, 2 thighs and 2 legs. Arrange in the middle of the platter. Squeeze the remaining lemon halves over the platter and garnish with chopped parsley. 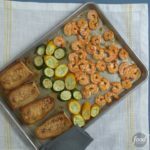 Recipe of the Day: The Pioneer Woman – Ree Drummond's Spatchcock Chicken Sheet Pan Supper 🍗 Save the recipe: http://bit.ly/2LmrEXK.